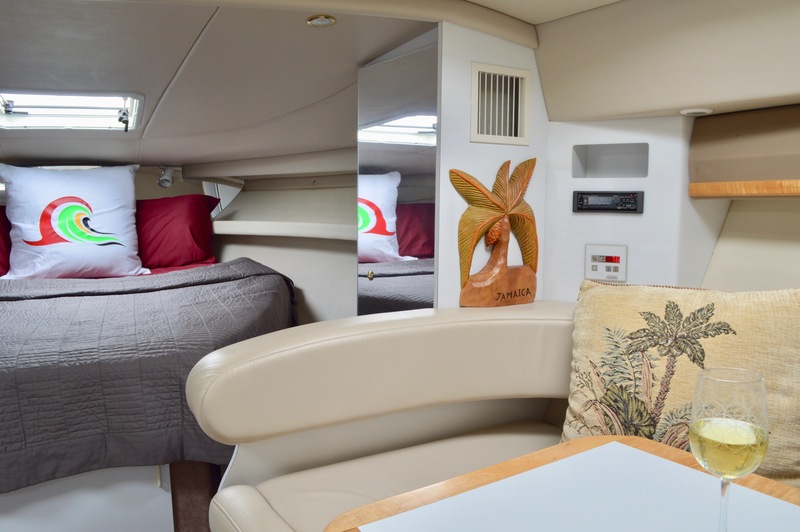 What better a location for your retreats and business meetings than a rewarding day aboard our exciting 34' powerboat Irie Vibes, with discussions at a calm and quiet anchorage over a custom menu to reinvigorate everyones' passion for your business! Importantly, the enhanced value of the time together motivates participants to reach beneficial arrangements and conclusions for your company. Our goal is to facilitate the purpose of your meeting through creating an ideal environment for productive discussions and decisions. Once your team returns to work and the relationship with your clients is continued, your memorable time together aboard will maximize the impact of your decisions, resulting in increased commitment and invigorating action. 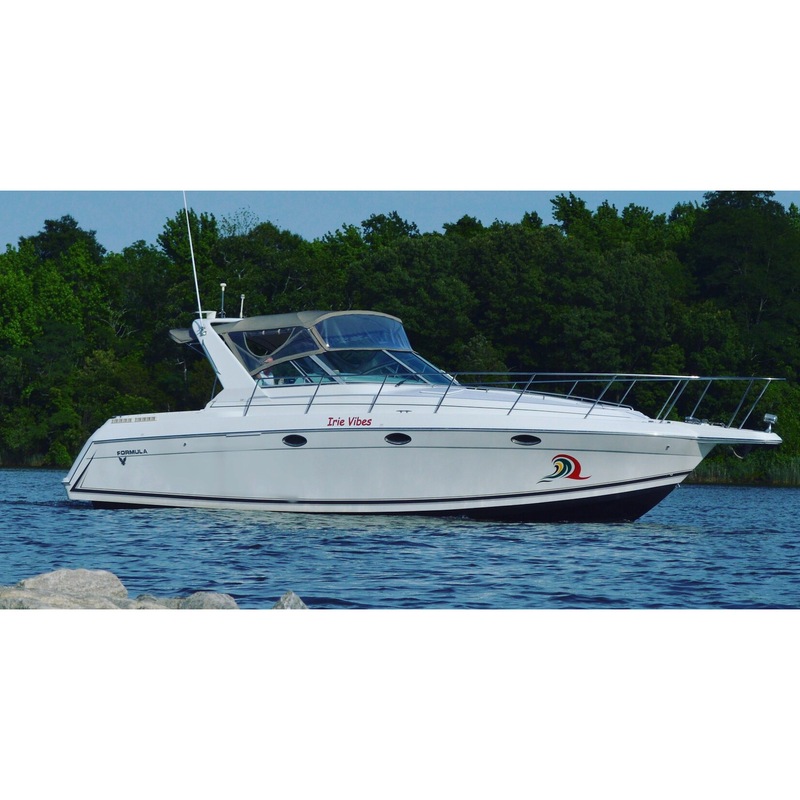 Irie Vibes is a comfortable and spacious 34-ft powerboat with a relaxing stern area, double tables and a full bimini shelter - great for discussions. 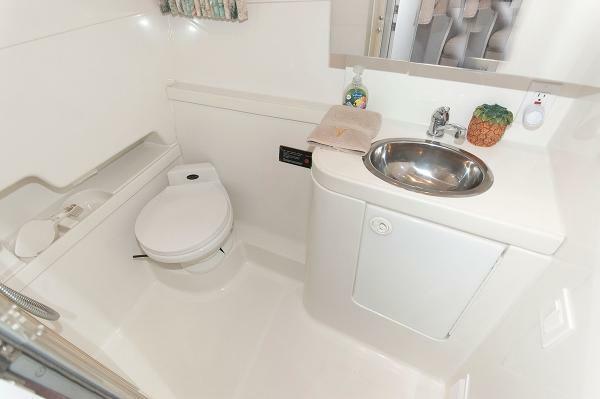 She is air-conditioned below with a full galley and head. 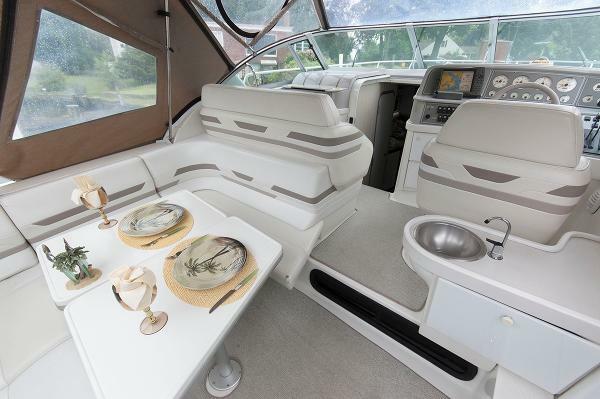 See boat features and amenities here. What date do you have in mind? (Mon - Fri 9:30 am - 5:30 p.m; 2 - 6 persons). Do you have any destination requests: specific anchorages or restaurant stopovers? What are your goals for the meeting that we can contribute to? 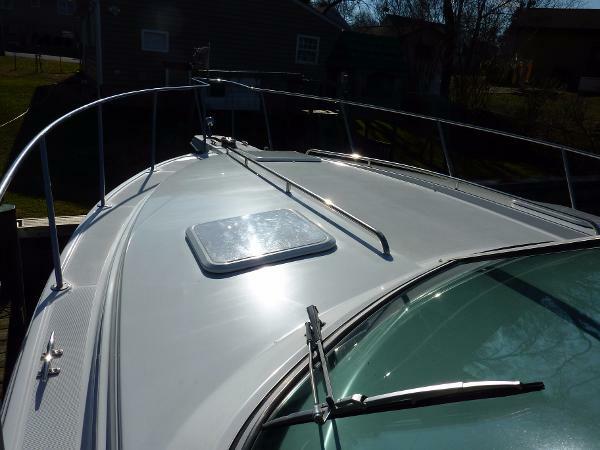 Call 410-212-4476 or Contact us. Our program coordinator will gladly talk to you about your specific needs. We look forward to planning the event with you and your group!